Want world-class facilities? A picturesque campus? A nationally recognized research institution? Small student-to-faculty ratio? This is the place for you. 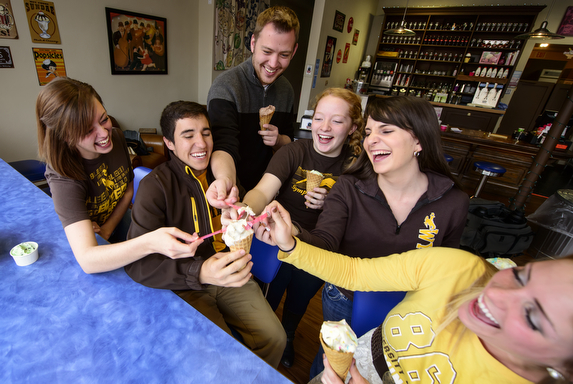 Offering the feel of a small town with all the amenities of a larger institution, UW features multitude academic and lifestyle opportunities. Come see how the University of Wyoming will give you the tools for success. 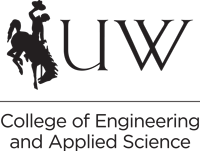 Thanks to a significant investment from Wyoming state government, a new era has dawned for the University of Wyoming College of Engineering and Applied Science (CEAS) – an age that will elevate the college to new heights of excellence in education, research and service. Guided by the Wyoming Governor’s Energy, Engineering, STEM Integration Task Force and CEAS leadership, the Tier-1 Initiative was born in 2012. 90 percent of our graduates have jobs or go on to graduate programs within six months of graduation. Small-class sizes (average: 28 per) ensure you’ll have the opportunity to participate in hands-on research. Our graduates have gone on to careers with companies like Ford Motor Company, Encana, IBM, AT&T, ConocoPhillips and NASA. Scholarships are available – more than 375 merit-based awards are allocated each year to current students and high school seniors. Nearly 78% of our graduates report a starting salary greater than $60,000 annually, and 89% report a starting salary greater than $50,000 annually. Choose from engineering programs like architectural, chemical, civil, computer, computer science, electrical, energy systems, mechanical and petroleum. Working in collaboration with the UW School of Energy Resources, students can access some of the world’s finest research facilities. W. Edwards Deming, the father of modern Total Quality Management (TQM), was a 1921 UW graduate in Electrical Engineering. Tom Osborne, an Electrical Engineering graduate from 1957, developed the first hand-held calculator that later became the HP35. General Samuel C. Phillips, who earned a UW engineering degree in 1942, served NASA as the Apollo Manned Lunar Landing Program Director. H. David Reed, a 1964 graduate in Mechanical Engineering, was a member of the mission control team that safely returned the crew of the damaged Apollo 13 to Earth. Mike Sullivan, former U.S. Ambassador to Ireland and Governor of the State of Wyoming from 1986-1994, is a 1961 UW graduate in Petroleum Engineering.